I have teamed up with Songmics to giveaway one of these acrylic clear make up organiser worth £26.99. 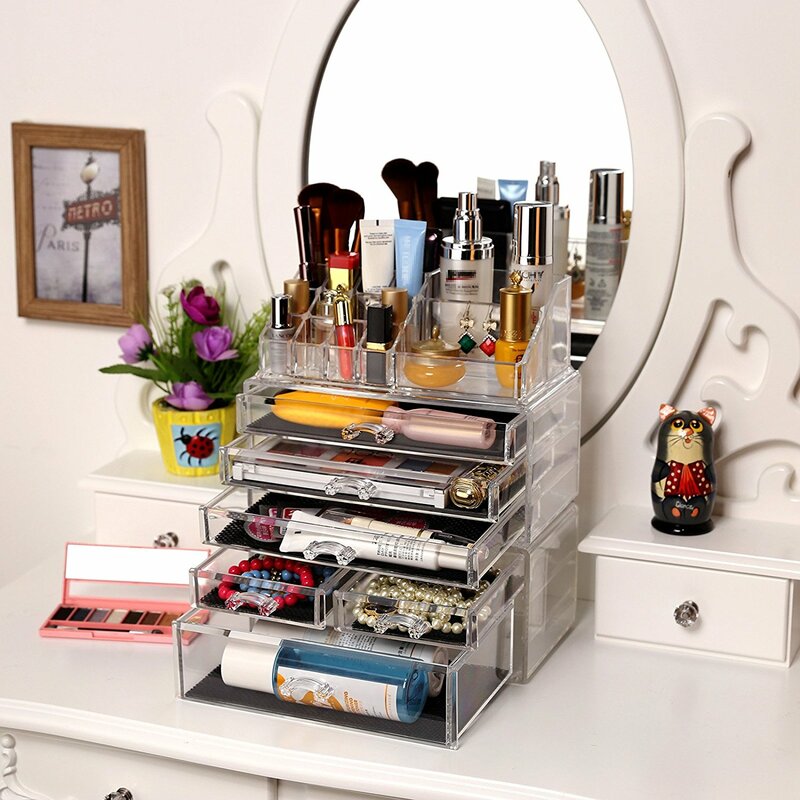 This organiser is the most perfect way to keep all your make up tidy and easy to access. It would have been my dream to own something like this as a teen. So, I decided to give my review sample to my son’s girlfriend as I was sure it would make her happy. She was delighted as it meant she could arrange all her trinkets and keep them safe. The organiser can hold so much! Its size is quite deceiving, and you really are pleasantly surprised by what it can store. As the organiser is transparent its simple to see where everything is without opening each drawer. It can save so much time in the morning not having to dig around in an overflowing make up bag! With one quick glance you can find what you need instead and with so many different sections your make up can be well organised. You could even use the case to store your office supplies if you prefer. It’s a very versatile product that can help you organise your life in most respects. My mum enjoys crafting so the organiser would hold her card toppers, sequins and ribbon. Having so many drawers and compartments stacked up frees lots of space on your dressing table or desk. Room that would have been overcrowded with different make up products or stationary otherwise! It seemed a good quality product, very sturdy but attractive too. A stylish addition to any room. The organiser is made of three parts which you can separate if you want to add a bit of storage to numerous rooms. To enter the competition please fill out the form below by the 2nd of September. I also have lots more competitions running, do check them out! ← Would you buy your child designer clothes? This would actually be great for my wife’s sewing activities!